Last year the programme received an overwhelming response from over 3420 participants. Post a rigorous three-staged selection process, 85 players finally made it to the VIVO Pro Kabaddi 2018 auction pool. 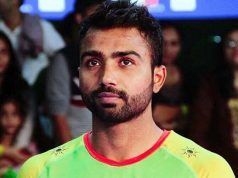 Through its prior two editions, the Future Kabaddi Heroes programme has brought to the forefront, young players, such as Nitesh Kumar (UP Yodha) – the Best Defender in VIVO Pro Kabaddi Season VI, the first defender in the history of the League to reach 100 tackle points in a single season, Naveen Kumar (Dabang Delhi) – the youngest player in Season VI, who is among the top 10 raiders of the season, Surender Singh (U Mumba) – among the top 10 defenders of the season, to name just a few. Initiated in 2017, the Future Kabaddi Heroes programme is developed by Mashal Sports, the organisers of the VIVO Pro Kabaddi League, in association with AKFI (Amateur Kabaddi Federation of India) and its affiliate state Kabaddi federations to scout promising young Kabaddi talent in the age group of 18 to 22 from across thousands of aspirants all over the country. 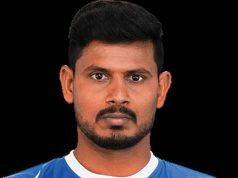 The players who make it through the first two stages of rigorous selection, then undergo intense training to further elevate their game to meet the intensity and demands of playing of the VIVO Pro Kabaddi League. FKH is the only such organised and professional scouting programme for Kabaddi players in the country. The programme will create a well-functioning machinery for overall identification and development of young Kabaddi talent in India, and provide a pathway for talent recognition. Following a rigorous shortlisting process in Phase 1, players will be selected for Phase II where once again only the exceptional, highest potential players would make it to Phase III for the training and subsequently be drafted in the player auction pool of VIVO Pro Kabaddi Season 7 under the ‘New Young Players’ category. The training phase follows a program structure developed in consultation with renowned coaches and experts from the field of sports. Along with professional coaches and specialist trainers, the training team also includes physiotherapists and nutritionists, to get the youngsters ready for the demanding requirements of the VIVO Pro Kabaddi League. The judging and selection would be done by a team of leading Kabaddi experts across a wide range of parameters such as technical skills, positional play, supporting abilities, scoring rate, physical fitness and psychological fitness with weightage of the Kabaddi skills and physical fitness varying with each phase.